There is something to be said, 60 years on, about the durability and staying power of the hard bop subgenre of jazz. 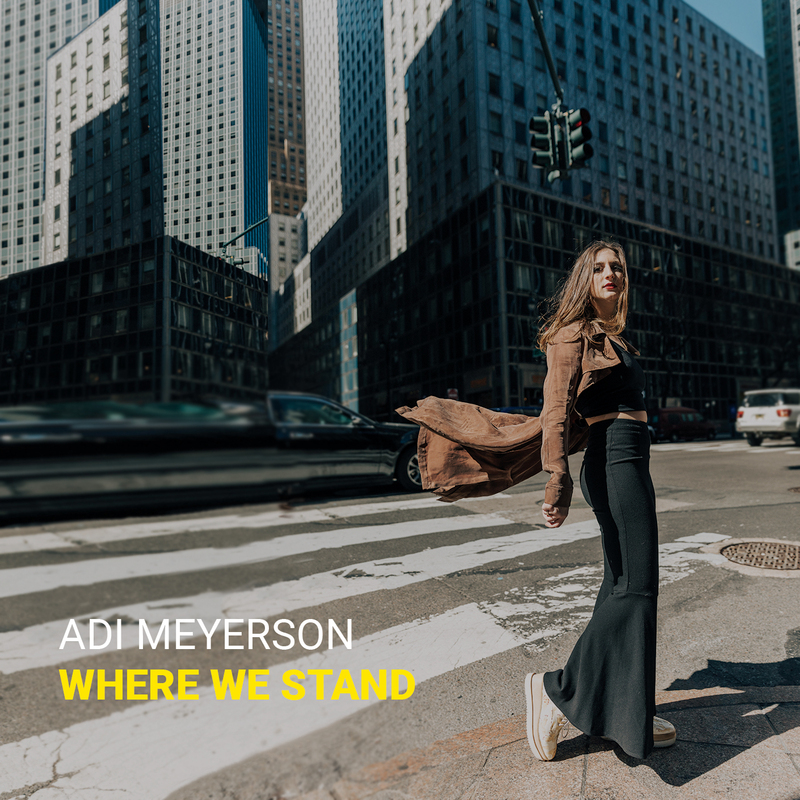 The jazz subtype forged in the early 1950s by Art Blakey, Horace Silver, and Miles Daviscould still be considered “mainstream jazz” today considering bassist Adi Meyerson’s potent and swinging contribution to the catalog, Where We Stand. Customary hard bop quintet core? Check. Complex, often angular heads? Check. Earthy blues and gospel accents? Check. Traditional soloing? Check. Drumming freedom anticipating post-bop? Check. Compositional emphasis? Check. Yes, Meyerson provides them all and more on her debut recording. Auspicious? You bet! Meyerson has assembled an impressive band that sports saxophonist Joel Frahm and trumpeter Freddy Hendrix, plus guitarist/vocalists Camila Meza who sings on the two Meyerson-penned vocal offerings. “Little Firefly” and the title cut. Frahm’s muscular tenor and lithe soprano saxophones make themselves right at home with Hendrix’s tart open-bell trumpeting. Meyerson’s excellent rhythm section mates, pianist Mike King and drummer Kush Abadey get feature standing on the jaunty “TNT.” Meyerson displays her ballad wares on the beautifully-paced “Holes” that features King’s introspective pianism. Where We Stand is an excellent debut that promises more to come. Let’s welcome it!